President Donald Trump’s federal commission on school safety concluded in a report released Tuesday that raising the age to buy firearms probably wouldn’t stop the next school shooting because attackers often procure guns illegally. The group suggested instead that schools consider arming themselves and do more to address mental health issues among its students, including relying on support from local religious groups. 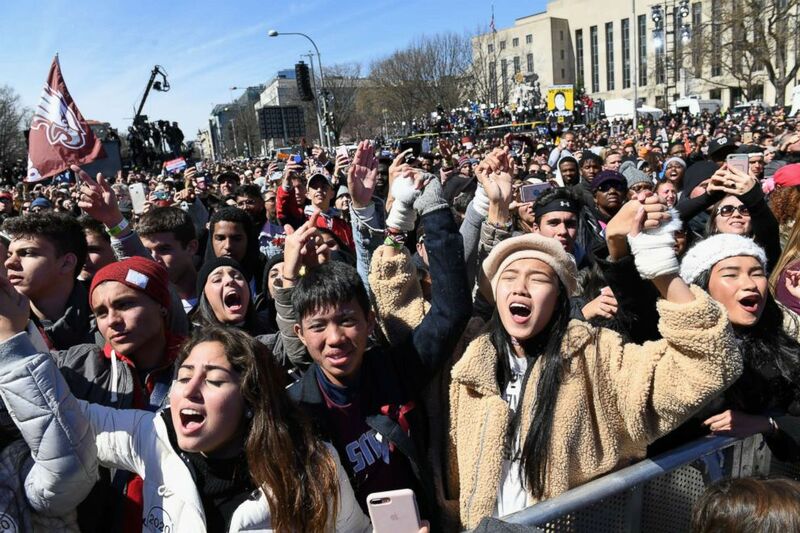 Marjory Stoneman Douglas High School students sing along to Miley Cyrus during the March for Our Lives protest march on March 24, 2018 in Washington. 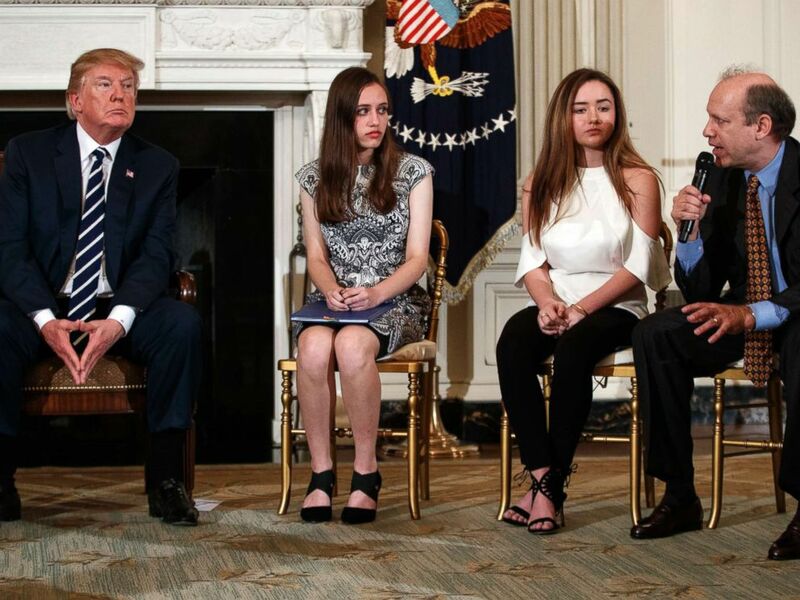 Speaking from the Roosevelt Room in the White House with victims of gun violence who supported his efforts, Trump said the media should refuse to name shooters in what he called a “no-notoriety” rule. He also called on “highly-trained” people at schools to have access to firearms. Another group, March For Our Lives, said the report lacked “courage” to make schools safer. “This is not a solution, this is a sales pitch to sell more guns,” said Jaclyn Corin, the group’s co-founder and senior class president at Marjory Stoneman Douglas. One of Trump‘s key proposals after the Parkland school shooting was arming teachers — but there was significant pushback from educators, parents and some lawmakers. Instead, the report provides guidelines for schools who may wish to equip “highly trained school personnel” with firearms to protect students in the event of a shooting — including teachers, custodians and extracurricular staff. From left, President Donald Trump, Marjory Stoneman Douglas High School students Carson Abt and Ariana Klein, listen as Carson’s father Frederick Abt, speaks in the State Dining Room of the White House in Washington, D.C., Feb. 21, 2018. “Given what we know about how underage shooters most often procure weapons (i.e., taking them from home or stealing them), laws aimed at a minimum purchase age would not have affected most school shooters,” the report states. Additionally, according to the commission’s chairwoman, Education Secretary Betsy DeVos, the report endorses states adopting “extreme risk protection orders” designed to restrict access to guns for people “found to be a danger to themselves or others” — but without any call for the U.S. Congress to take on the issue. And it calls on bolstering resources for mental health at schools.